Sometimes you win, and sometimes you fight, till there’s just nothing left but pure will… iron will. That’s what my Ironman felt like. 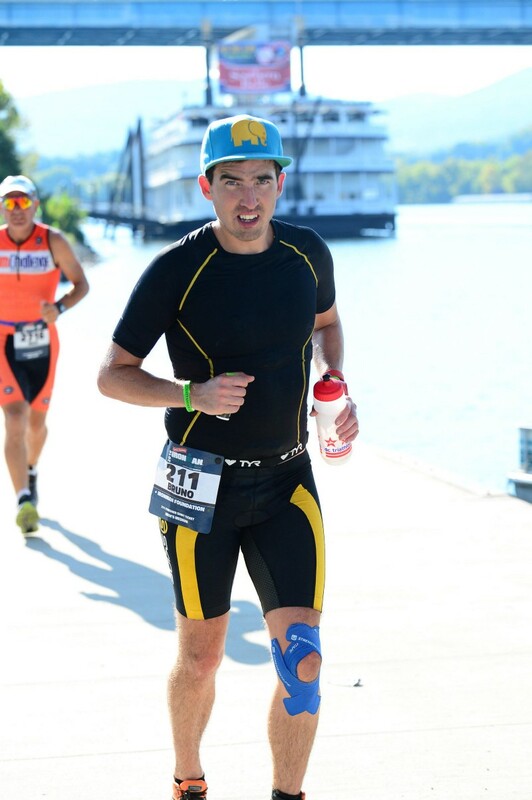 I completed Ironman Chattanooga, in 15h20m (roughly 2h over goal time). I trained specifically for this for almost a year (doing roughly 80% of my coached 6 days a week program), I planned and rehearsed, I gave up so much social life, so many Friday nights, so many weekends training, so many before-sunrise bike rides… All for this day, for this race where so many things can wreck the careful balance of endurance, nutrition, hydration and mind. Almost certainly that balance will be broken, and you’ll need to work it out. I have zero regrets, and I’m super proud of finishing; but if you are thinking about doing an Ironman, be mindful of that. The heat was the killer. Record 97℉ (36℃) for the course. 40% of the 2716 bib athletes didn’t finish, twice the rate of previous year, 200 were treated at medical tents and nine were hospitalized. My coach told me since day one that the name of the game is keeping heart rate (HR) low, yet that was my biggest mistake. My advice?, your watch should only have one screen, HR graph with time. A mistake that probably cost me 2h. The heat messed my plans by increasing my HR into a zone I wouldn’t be able to keep for 10h+; and by demanding lots more hydration, which meant Gatorade with loads of sugar, or water (that I had to try to complement with salt to avoid the dangerous Hyponatremia). On Friday I also got a stabbing pain right below the knee while walking up some stairs (first time! Pain 5 in a scale of 10). I went to kino-tape it just in case, and hoped it wouldn’t go worse race day. Partial Heart Rate profile (watch ran out of battery at 12h). [Suunto MovesCount](https://www.movescount.com/moves/move124792340). Race day means waking up at 3:30am to get a breakfast I can digest before the start. 4:30am at transition checking that the bike and gear is all set, and by 5:30am I took the shuttle to the swim start. Nothing else to do but wait on a growing 2500-athlete line under the stars and building up excitement. 7:30am the cannon shot and very quickly you walk down, see the massive river… and jump from the pier. All the training for this moment that starts now. The 2.4 miles (3.8 km) swim was super fast (1h 13m) — because it’s a river and the current was moderate (controlled by an electric power plant dam, and the 101-days heat-wave was kicking hard). I think that saved me 15min or more. Beautiful to swim the river as the Sun rises on one side over the mountains. Water was quite hot (83F or 28C, wetsuits very not legal) and with ~5 feet or so visibility, good for keeping an eye on the kicking legs around you. I couldn’t check then, but my HR was already too high (130 ramping to 150 on exit) due to heat and race day adrenaline. Sadly knee pain happened (it was a constant 2 in pain scale) so I decided to reduce leg kicking, and the running on Transition to the bike. The Bike course (116 miles, 186 km) was incredibly beautiful, and brutally hot. Barely any shade either. Looking at the results I started around ~17mph, keeping it conservative, but by the end I was absolutely on emergency mode at ~14mph. I should have checked HR, I was doing 130–145 for 7.5 hours where I should have been ~120. The hydration rate goal was 1.5 to 2 bottles/hour. It was very hard to avoid Gatorade or gel (one bottle of Gatorade has 34g of sugar, which means ~500g of pure sugar if only taking Gatorade, only for the bike. Way too much for my stomach). I therefore used water with isotonic powder I carried (vega) and salt pills; and only 1/2 of stops with Gatorade. Rest of nutrition were 5 Lara bars, PB pretzels and 4 protein pills (MAP — Master Aminoacid Pattern: proteins are great but you need to break them down to amino acids, these pills are already these, so they are absorbed instantly. They are designed for kids with digestive issues). I took a gel with caffeine towards the end because I started feeling dangerously weak. On Transition 2 to the run I was done. Couldn’t really walk straight :) Had to take some time in front of a massive fan, and get a full isotonic bottle, so I could mentally face the run. Super long T2, tons of athletes dropping. Not a happy camper. About to face a 6h marathon, after 7.5h ride on a scorching heat. High respect for everyone who makes an Ironman, but absolutely in awe for all those 50+, 60+ years old athletes (age is marked on your calf so I had lots of time to think about that as people passed me or I passed them). I’m very happy to have finished. And with no injuries (knee hasn’t bothered since the halfway marathon). It was really hard. Despite all the things that messed my plans, I’m positive I wouldn’t have made it without the training, both for the physical and mental endurance. The high moments were incredibly fulfilling, the low moments were very hard tests of grit and perseverance… remembering the reasons, moments and people that helped me be there. And those keeping an eye live online. Thanks! I’m absolutely proud to have pushed through it, I absolutely recommend it if you really really want to do it, and if you can physically, mentally and logistically afford the training. For me it’s probably going to be a few years till I try another one.